Our research focuses on developing and applying novel bioanalytical and biophysical tools to understand molecular underpinnings of how signaling pathways cross-talk with metabolic pathways in cancer cells. 2.) The development of a novel super-resolution imaging technique to map critical biological networks in live cells. Ultimately, we aim to determine how signaling pathways are spatially and temporally involved in cancer cell development and proliferation by employing unprecedented in vitro and live cell techniques. In our lab, students are trained in cross-disciplinary research at the chemistry-biology-physics interface by building cutting edge microscopy/spectroscopy systems, fabricating nano-reaction chambers and flow cells, and studying the interactions between biomolecules in real time in vivo and in vitro. J. Diao, M. Zhao, Y. Zhang, M. Kyoung, A. T. Brunger “Studying protein-reconstituted proteoliposome fusion with content indicators in vitro” BioEssays; 2013; 35, 658-665. M. Kyoung, Y. Zhang, J. Diao, S. Chu, A. T. Brunger “Studying calcium-triggered vesicle fusion in a single vesicle-vesicle content and lipid-mixing system” Nature Protocols; 2013; 8, 1-16. J. Diao, P. Grob, D. J. Cipriano, M. Kyoung, Y. hang, S. Shah, A. Nguyen, M. Padolina, A. Srivastava, M. Vrljic, A. Shah, E. Nogales, S. Chu, A. T. Brunger “Synaptic proteins promote calcium-triggered fusion from point contract to full fusion” eLife; 2012; 1, e00109. F. Verrier, S. An, A. M. Ferrie, H. Sun, M. Kyoung, H. Deng, Y. Fang, S. J. Benkovic, “GPCR signaling regulates the assembly of a multienzyme complex for purine biosynthesis” Nature chemical biology, 2011; 7, 909-915. M. Kyoung, A. Srivastava, Y. Zhang, M. Vrljic, P. Grob, E. Nogales, S. Chu, A. T. Brunger “Ca2+-triggered single vesicle content mixing: fast fusion kinetics reveals mechanistic insights into neurotransmitter release” Proc Natl Acad Sci U S A. 2011; 108 (29): E304-13 . S. An, Y. Deng, J. W. Tomsho, M. Kyoung, and S. J. Benkovic “Microtubule-assisted mechanism for functional metabolic macromolecular complex formation” Proc Natl Acad Sci U S A., 2010, 285, 12871-12876. S. An, M. Kyoung, J. J. Allen, K. M. Shokat, S. J. Benkovic “Dynamic regulation of a metabolic multi-enzyme complex by protein kinase CK2” Journal of Biological Chemistry, 2010, 285, 11093-11099. M. Kyoung, E. D. Sheets “Vesicle diffusion close to a membrane: intermembrane interactions measured with fluorescence correlation spectroscopy” Biophysical Journal, 2008, 95, 5789-5797. K. Vats, M. Kyoung, E. D. Sheets “Characterizing the chemical complexity of patterned biomimetic membranes” Biochimica et Biophysica Acta, 2008, 1778, 2461-2468. M. Kyoung, K. Karunwi, E. D. Sheets “A versatile multi-mode microscope to probe and manipulate nanoparticles and biomolecules” Journal of Microscopy, 2007, 225, 137-146. M. Kyoung, E. D. Sheets, “Manipulating and probing the spatio-temporal dynamics of nanoparticles near surfaces” Proceedings of SPIE, 2006, 6326, 63262L. M. Kyoung, S. Y. Kim, H. Y. Seok, I. S. Park, M. Lee, “Probing the caspase-3 active site by fluorescence lifetime measurements” Biochimica et Biophysica Acta, 2002, 29, 74-79. M. Kyoung, M. Lee, “ Z-scan studies on the third-order optical nonlinearity of Au nanoparticles embedded in TiO2.” Bulletin of the Korean Chemical Society, 2002, 21, 26-28. 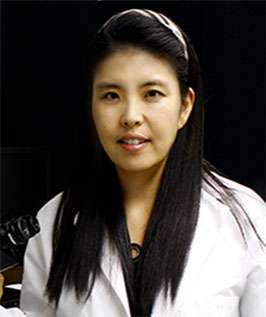 M. Kyoung, M. Lee, “ Nonlinear absorption and refractive index measurements of silver nanorods by the Z-scan technique.” Optics Communications, 1999, 171, 145-148. CHEM 490: Special Topics in Chemistry – Fall 2014.